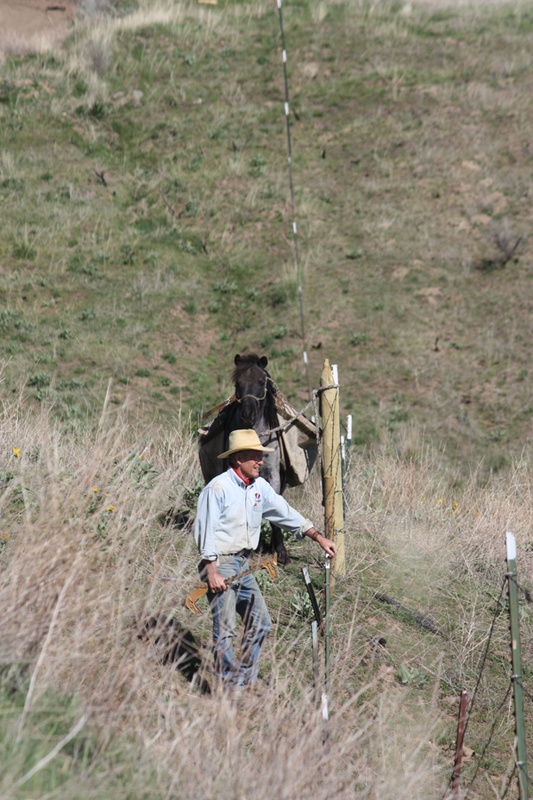 Building and maintaining the fences here on the side of Timber Butte have always been one of my preferred pastimes. Walking the fence line has provided one of my best excuses to be in the hills alone to contemplate life and in my own mind, solve all the overwhelming problems of the world. It is a place of solitude for me, the best place to be able to focus on the deeper issues of life. When I’m walking the fence line I think about all kinds of things and take time to ask the real questions; questions like what’s really going on in the undercurrents of culture, why people on one hand seem so angry and outspoken, and on the other so disconnected to the reality of the world’s true condition. I think about what’s driving the anger and fear which has manifested itself through the present political climate, or about how rapidly the American culture has shifted from the traditional values of my youth to the smorgasbord thinking of the present and what it might mean for the future. I ask where all this change is taking us and what it will mean for my grandchildren’s generation. I think about the escalation of world crises; global food security, the growing scarcity of clean water and the increase of cancer. I think about the potential of global disease such as the current growing epidemic of Zika virus and what the northern migration of the Aedes africanus Mosquito could mean for young American families. 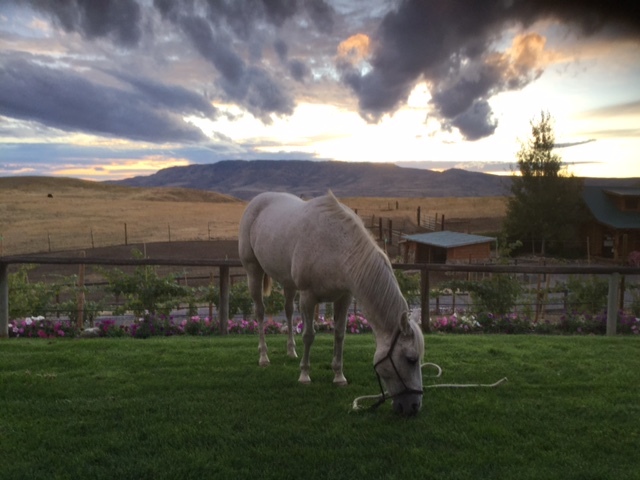 I think about the impact of the changing climate and not only how it is affecting seasonal weather here on our small homestead, but across the globe. I think about what the World Health Organization (W.H.O.) is saying about our warming planet and its impact on the extreme poor in developing nations. How it is already causing the world’s most vulnerable to suffer even greater trauma as they increasingly become the targets of exploitation and injustice at the hand of evil and corrupt people. Above all however, walking the fence line is my time to ask the real question concerning my own life and responsibility; I ask God what He would have of me in the present season of my life. I walk the fence line carrying tools and extra wire on a pony named Smokey along with Jacob the family’s pet lamb, Lily a Yellow Lab and Sadie our funny little herding dog. They are a community of the greatest diversity; all with their own unique quirks and personalities. They are like the Christian community I’ve been a part of for so long; one much like the tapestry of a colorful rug; a mismatch of color and pattern, but when woven together bringing the provision of comfort and friendship. The dogs chase squirrels checking in from time to time while Jacob does whatever an inquisitive sheep might do when given the unique opportunity to freely roam the hillsides. Smokey nudges my back in constant expectation of an apple treat which I often carry in my pocket. I on the other hand have important work to do replacing old rotten fence posts, splicing rusted barbwire and stretching saggy sections of fence so they might become functional once again. I mend the fence as I go while all the time contemplating what could motivate humanity to unite around so many clear and present dangers of our day so that together we might work to mend the problems of our waning world. As I walk the fence line looking for places that need my attention, I look to my own life, for the opportunities to be used with the few years I have left on this earth; opportunities where I might be able to make a difference. I look for ways my life might bring some kind of solution and a hope, no matter how small.